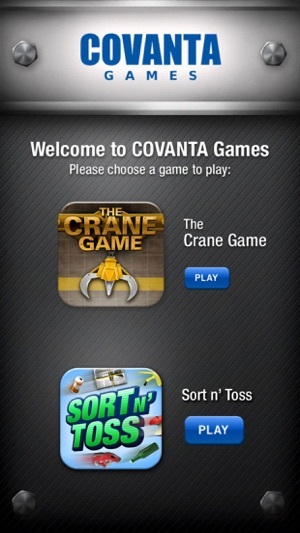 Covanta Games consists of two fun-filled games, Crane Game and Sort n’ Toss. 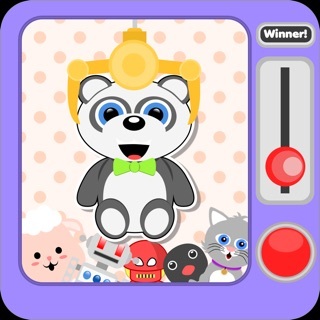 Crane Game: Trash as a fuel to make electricity? You bet! 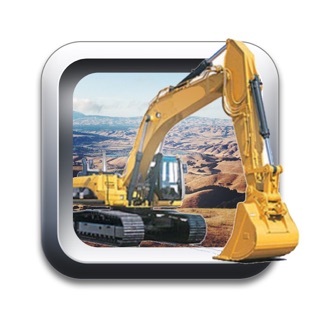 Climb into the hot seat of an Energy-from-Waste Facility crane operator and be the master of your own waste bunker domain as you maneuver your crane to fill the combustor with waste so it can be turned into energy. Avoid obstacles like propane tanks, bags of recyclables and tires that shouldn't be combusted. Are you in? 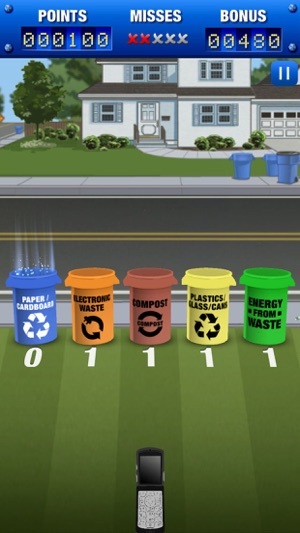 Sort n’ Toss: Sort every day household trash into the correct bins. Make sure you know where items belong to avoid receiving a strike! 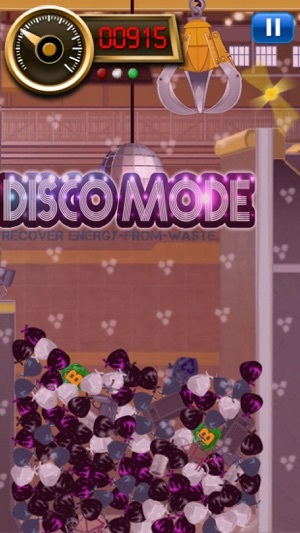 As you progress through the levels, the bins get further away and there are more items to sort. Ready, set, aim! 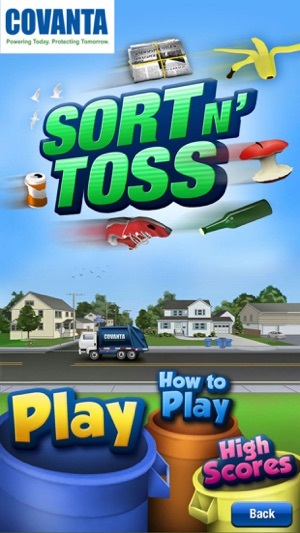 Sort N' Toss difficulty has been adjusted. 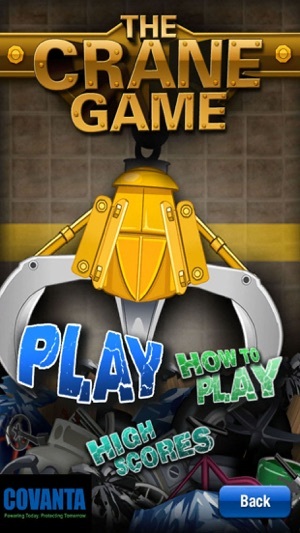 Try out the new difficulty settings and see if you can become a Recycling Master!!! I went to covanta on a camp trip, and from what I saw there, this game is completely inaccurate (the crane part). 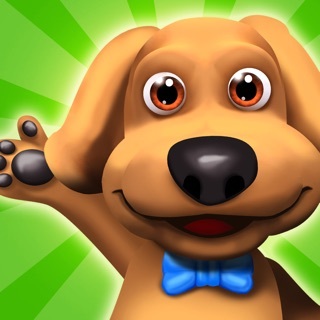 It's very fun and you can tell it wasn't made by a big business (which is good in my opinion). Try to update fast because it does get boring lol. I understand you're a business and you have bigger things to worry about than this game. 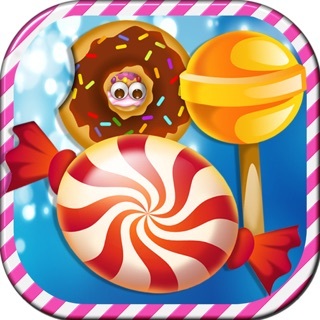 On the other hand, this game doesn't have much potential other than being a pretty fun game made by a relatively small company (private company) . You should put work into it and finish it rather than stretching it out. I actually work for this corporation as a instrument technician. First of all, the "grapple" doesn't move that fast, nor is it clean looking. Secondly, the waste stays in the hopper for at least 5-10 minutes as it slowly slides in the combustion zone. That being said, the layout is accurate of a WTE facility. And how the grapple lays in the pile is accurate also. As a game, it's alright, something to do, but I wish the I.T. department would do something more useful with their time. Like getting our printers to stay networked. My wife enjoys the game played upside down, as it defies gravity.